So this post is dedicated to my new friends at the garden who all have new food processors now! Welcome to the “Make your own Nut Butter” gang!! So…since this is the case, I have to share some of my FAVORITE but simple nut butters! 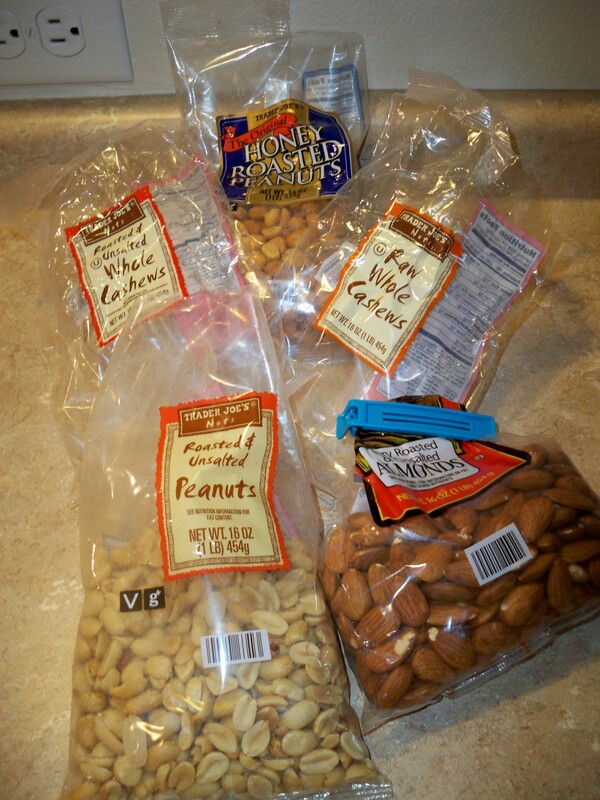 * Go to T-joes and get some honey roasted nuts and roasted unsalted nuts!! *Pour the nuts in the processor, turn on for a good 5-6 minutes scraping the sides as needed. *Drizzle in a little coconut oil depending upon how much of the oils come out of the peanuts. *This makes about 1/2 jar of peanut butter! Next up is a recipe that is AmAzInG and I got it directly off of Oh She Glows! For the Recipe… Click right HERE!!!! Last.. but definitley NOT least!! 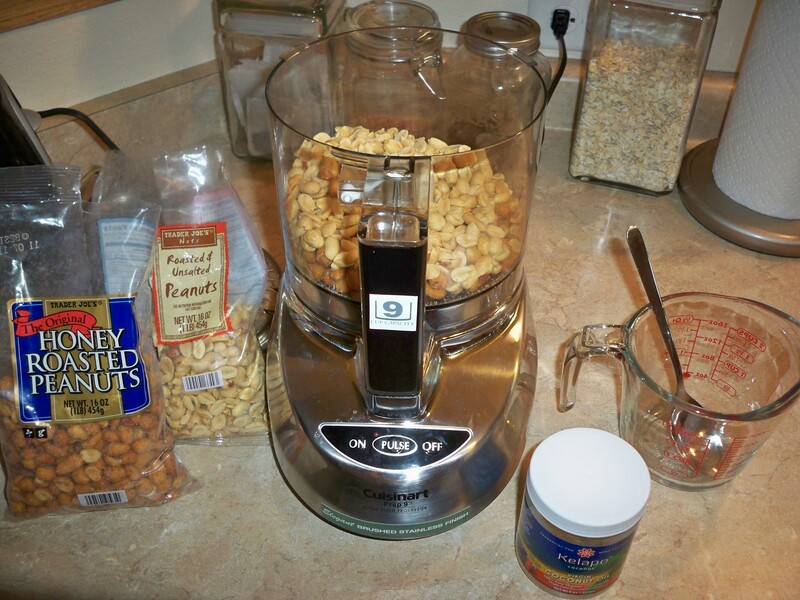 Sarah’s Fiances Favorite… Cashew Butter!! Same concept as the trader joes.. except just using Cashews!! You see those empty bags? Yup, those are the kind to get at the store! For the butter you can just used a combo of both roasted and raw. *Blend for about 6-8 minutes. Drizzle in oil after some of the oils start to come out.